I bought this cute polka dot blouse at Target a while ago- and haven’t had the chance to wear it yet. Has anyone else noticed that I have found some really cute things at Target lately! Gotta love Target! Polka dots are really trendy right now- and I will say that personally, I only like them in small doses! 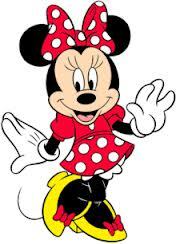 On younger (or perhaps hipper) women- they can look lovely- but on the other hand- you DO NOT want to look like Minnie Mouse! However, a nice, subtle polka dot can be a great addition to your wardrobe. I’m wearing black work pants today- this is a very typical working mom staple. I prefer the pants on the left (even in the winter) than the long, baggy version on the right. Yes, my ankles look a little cold- but I’ll survive (as long as I am inside most of the day). 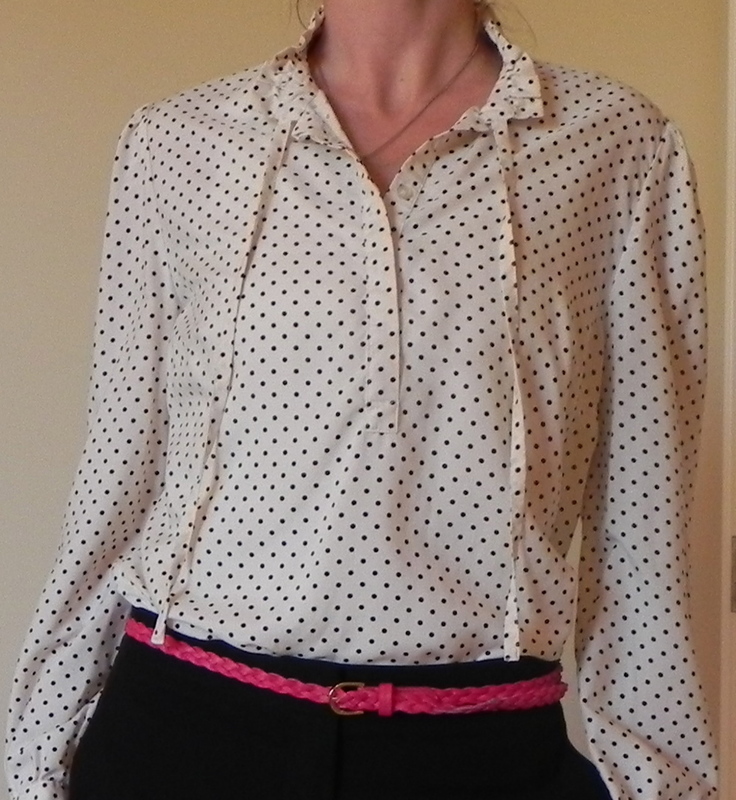 I also think by tucking the blouse in I look more polished- and the pink belt is a fun way to add a little color into the look. I love your blog! Especially the side by side pictures! Love this outfit. Target does have some good finds!